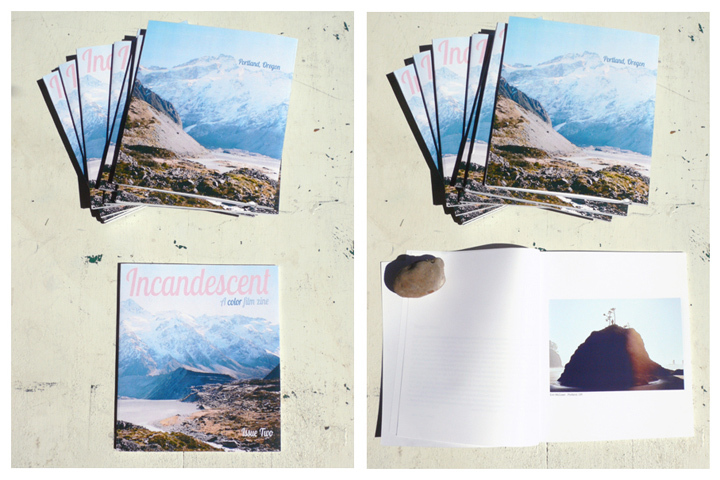 "Pine Island Press is pleased to present the second Issue of Incandescent. Issue Two includes photographs by 18 photographers from the United States and beyond. Incandescent is a bi-annual color film zine showcasing emerging photographers curated and produced in Portland, Oregon"